The picnic table is a simple and yet very effective design that exhibits many of the qualities that makes something sustainable: strength, durability, functionality and environmental benignity. It is unknown who designed the picnic table, and when. However, it seems likely that it evolved over many years, like the design of most traditional, functional objects. The design became more common from the 1920s onwards, and now they are one of the most ubiquitous pieces of outdoor furniture throughout the western world. They are a common feature in public spaces like parks, roadside rest areas, picnic spots, beaches, campgrounds and local attractions. They also flourish in and around private establishments like pubs, bars, cafes and restaurants, as well as many people’s back yards and holiday homes. A table has many, many uses and the picnic table is no exception. However a picnic table is not just a table, it is also the seats. This fact makes the picnic table much more useful than if it didn’t have them. If the picnic table’s chairs were separate they would get stolen or broken. The seats are integral to function and form of the whole. They couldn’t be much simpler. Several pieces of sawn timber (or other materials) bolted together to form a single, load-bearing piece of furniture. Being complex doesn’t make a design unsustainable. 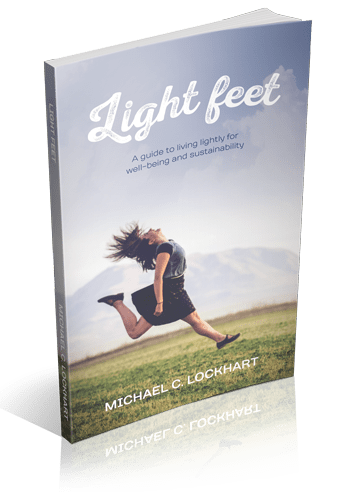 However, a simple design like this, has the most amount of function for the least amount of materials and embodied energy. A simple design has no excess, it is what it is. Known more for it’s utility than it’s beauty, the picnic table has a noble presence that is a result of its symmetry, restraint and heft. 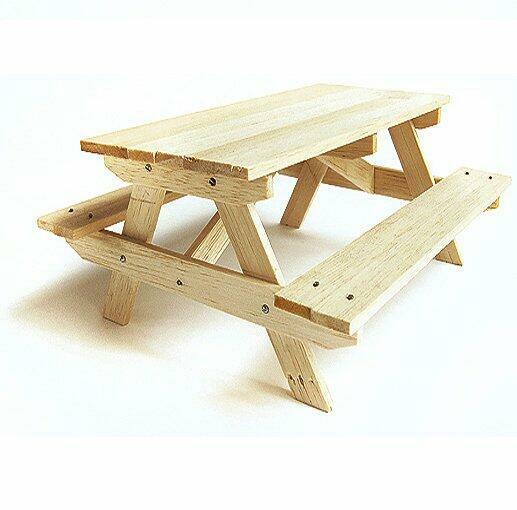 Picnic tables are designed to hold heavy loads. A normal table seats six people comfortably although at a stretch they can hold eight or more. In all likelihood, depending on the actual table, they could take much more weight. Their size, weight and sturdiness makes them practically thief-proof and hard to vandalise. Picnic tables are constantly affected by the elements – sun, rain, snow, frost, wind, humidity. Also from habitation by mold, mildew, moss, lichens, insects and other fauna. Not to mention the fact that they also take a beating from people. A spring-clean once a year is probably enough to keep them in good condition for many years, even decades. Although they are sometimes made from metal, concrete, stone and even plastic the picnic table is traditionally made from wood with a few steel bolts to hold it together strongly. Wood is a renewable material and it sequesters carbon; the more that can be made of wood the better. Picnic tables are quite often made from wood that has been repurposed from other uses. The humble picnic table has been the setting for innumerable meals, conversations, outings, celebrations, get-togethers and parties. It has also been the scene of countless exciting life moments from overseas travel and cultural events to outdoor adventures and epic scenery. Whilst it’s not exactly the most comfortable piece of furniture, the picnic table has offered a rest for aching legs and tired bodies. It’s a place to sit and reflect in solitude. It is a device to aid in reading, writing, drawing or simply taking in the view. It is a design that has supported, literally and figuratively, the well-being of many millions of people. And it will continue to do so for many, many years to come.